Ricky Ricotta and his Mighty Robot are battling for the safety of the solar system once again! Smelly Sergeant Stinkbug arrives on Earth with a dastardly plan to kidnap the king of the world. Unfortunately, he ends up kidnapping Ricky’s little cousin Lucy instead. 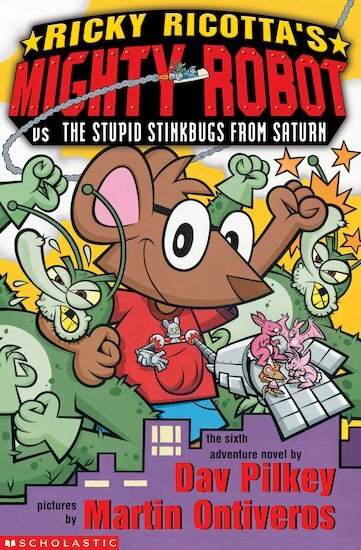 Now it’s up to Ricky and his Mighty Robot to save Lucy – and all the rest of mousekind – from a very stinky situation!